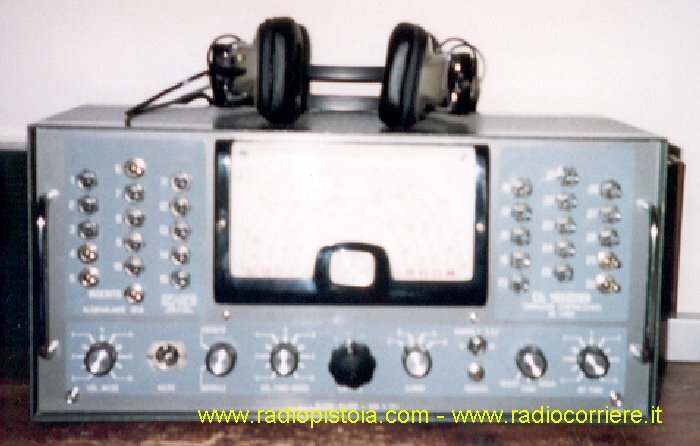 This section has been realyzed to contain only pictures and informations about Geloso equipments. 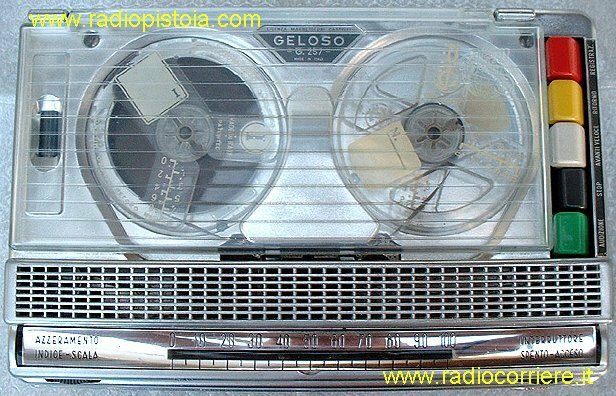 Geloso was a (past) great italian manufacturer which during the 40' to 60' built a large quantity of radioreceivers, tape recorders and PA amplifiers. 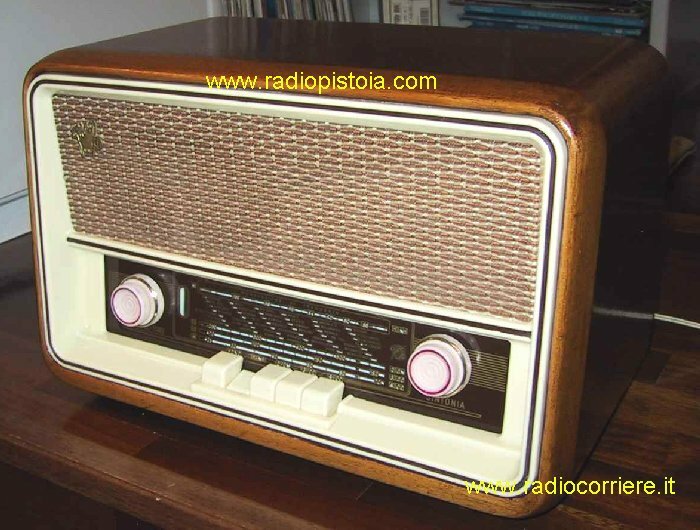 Many models was created during this time, unfortunatly this company closed its activity across the 1970.. 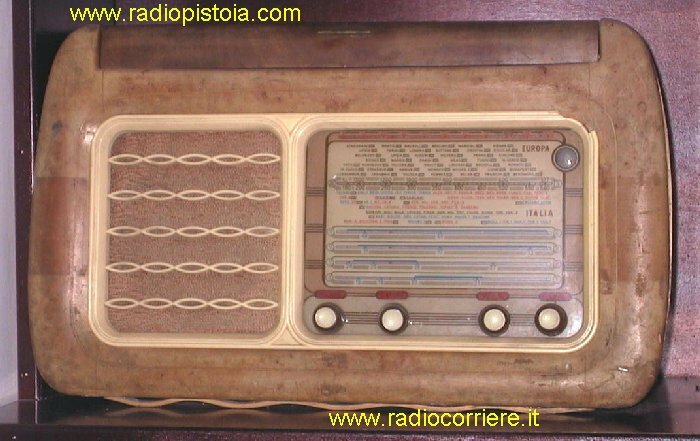 Here you can find (or leave) a little bit of story of this great company Why leave? 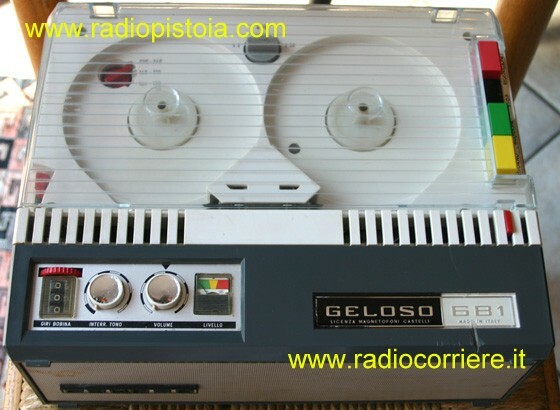 Because if you have some nice pictures of Geloso equipments you can send them to me, they will be surely added in this gallery.. 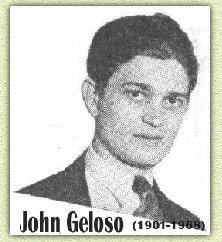 In the top picture the "father" of all this, John Geloso. 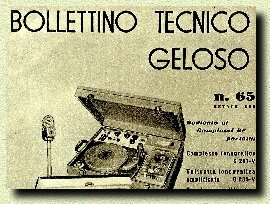 On the left a nice picture of a rare Geloso banner, it was given to the most importan service centers. Remember that in this section too you can click on each picture to enlarge it.. 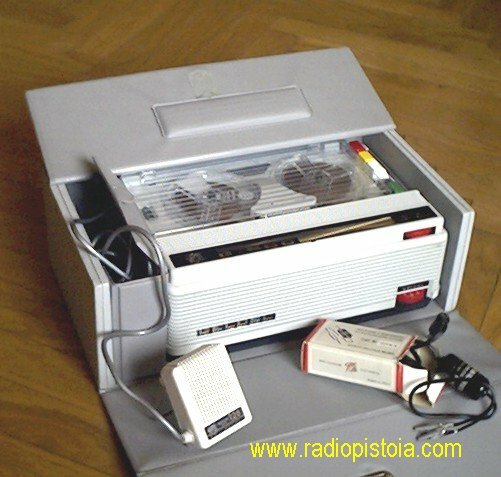 This is the first bedside table radioreceiver built by Geloso. 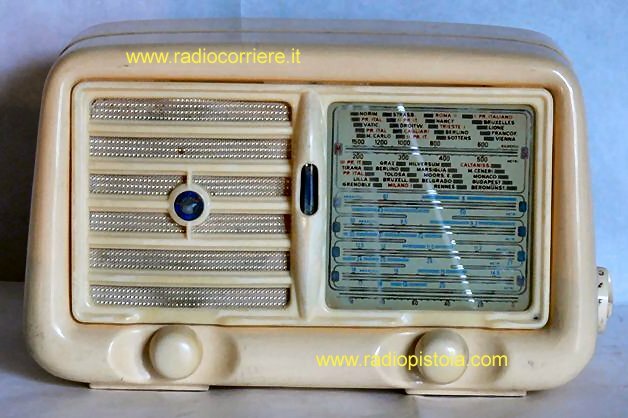 Little and nice receiver, very similar to the upper model but with the DM70 magic eyes. 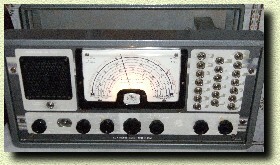 (tuning indicator). 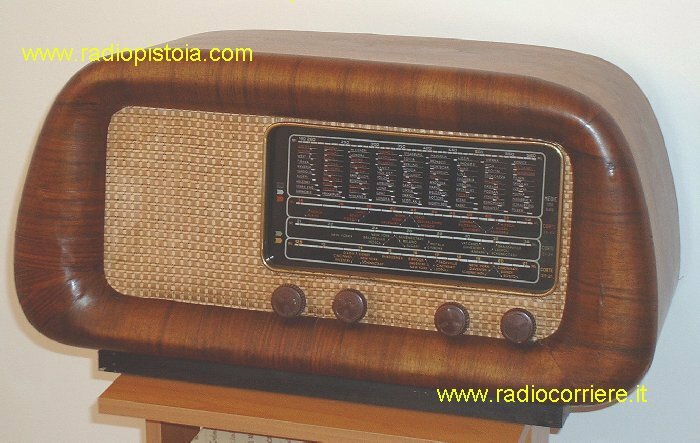 A simply wonderful, BIG P.A. 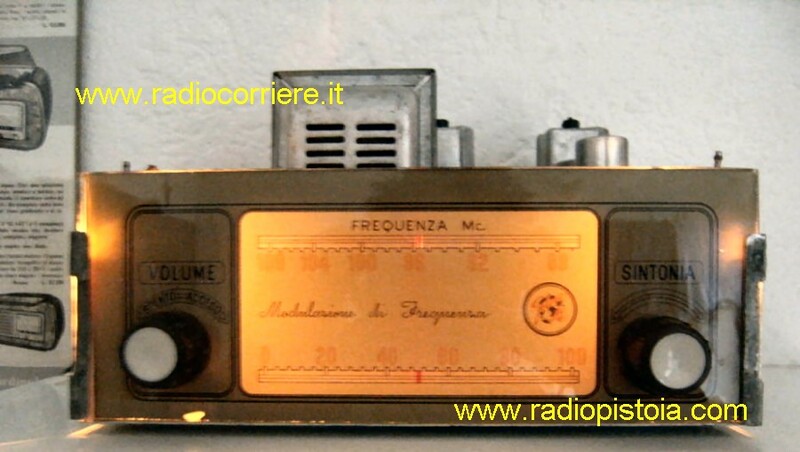 System, used years ago to sonoryze rooms like shops, markets and other public spaces. 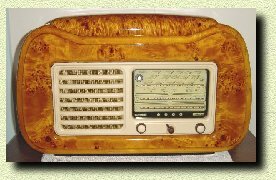 A nice wood cabinet Geloso radioreceiver. 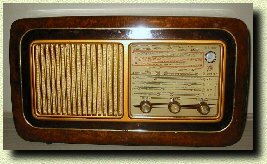 It's a five short waves bands and one in medium waves. 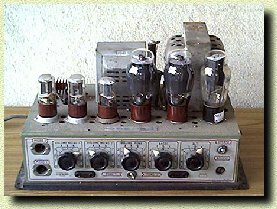 The magic eye is a 6E5GT tube. 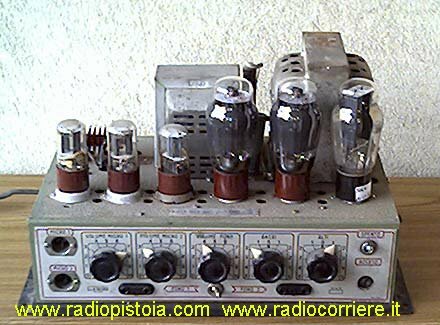 The total number of tubes is 6. 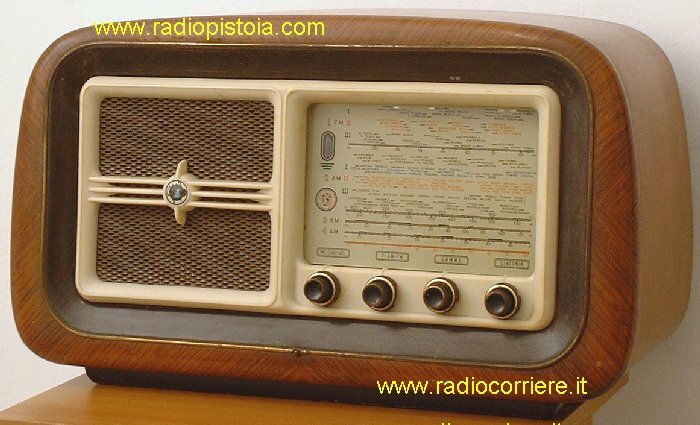 As you can see from the picture this is a classic '60 receiver with the front band selector realyzed with white squared keys. 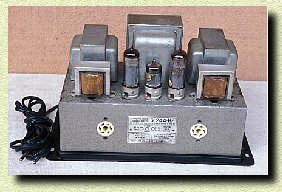 This kind of switches was call "horse teeth" too, proper for its shape. 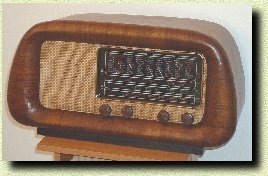 Great receiver with a very nice wood cabinet. 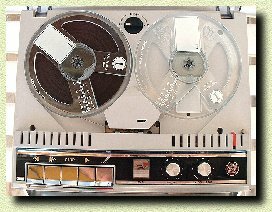 In the top there is a turntable. 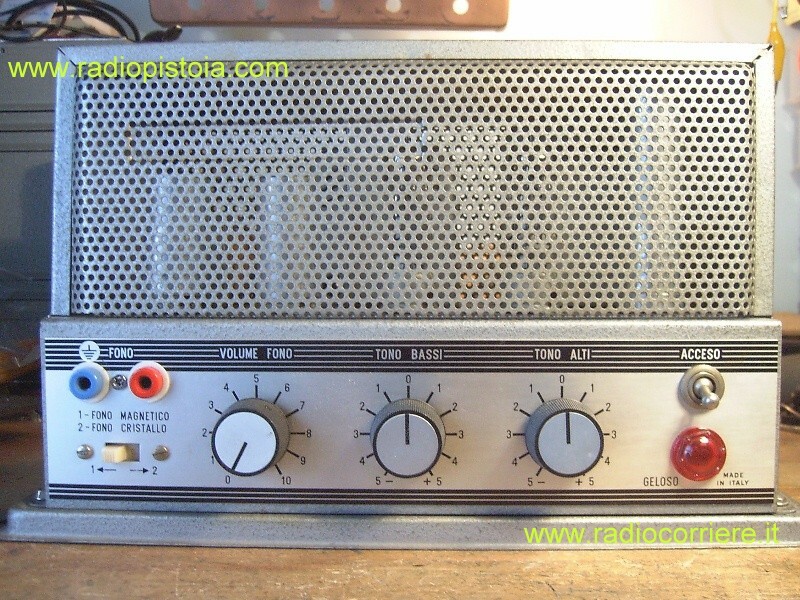 This radio receives two bands (MW-SW) and there is a magic eyes on the left side of the tuning scale. 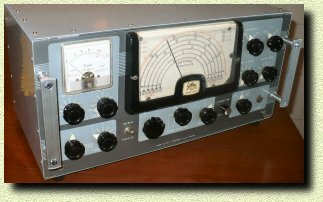 Another great (as dimension as characteristics) receiver from the '50 about. 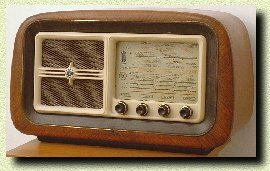 Always with a nice wood cabinet and a large tuning scale. 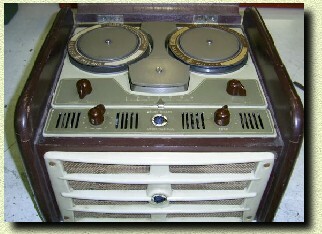 In this receiver there is a turntable under the top cover too. 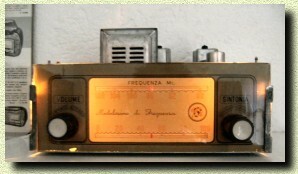 A receiver that you can see with more details in the "My Collection". This infact is part of my collection. 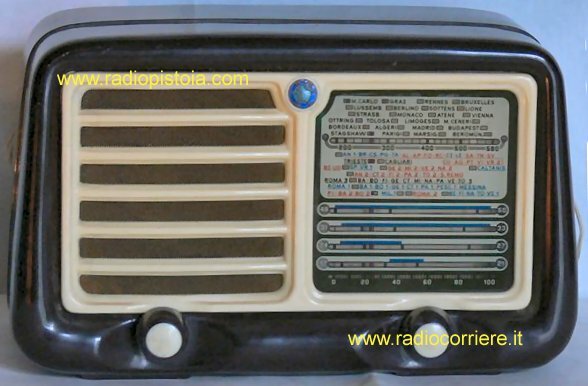 Receiver built in the 1950 about, is in the "My Collection" section too. 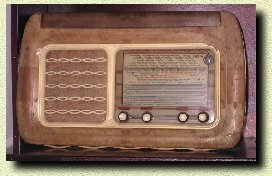 Another wire recorder, with its original microphone too. 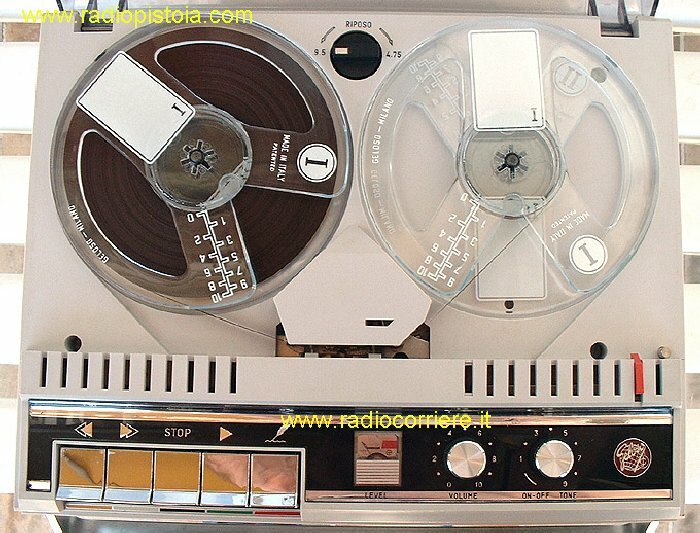 Great open reel tape recorder. 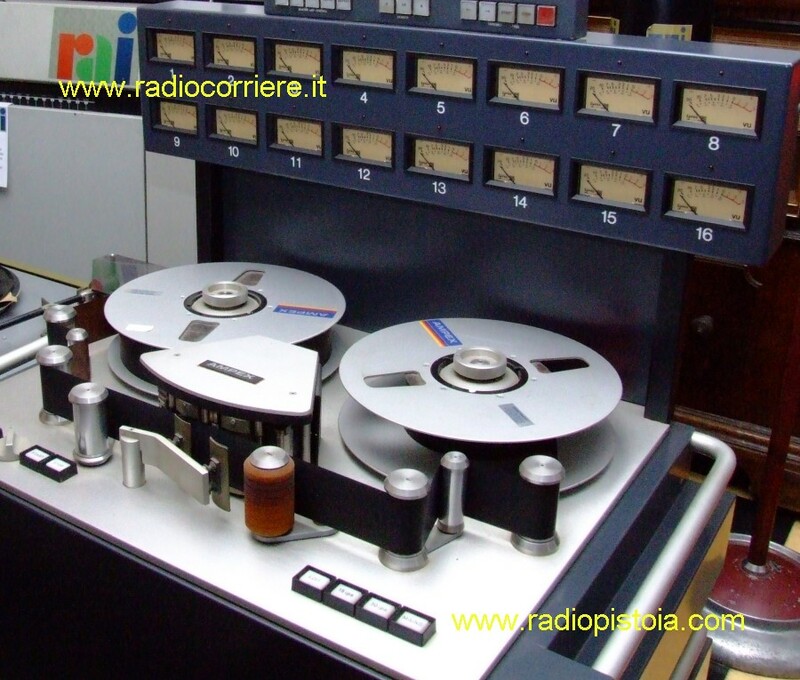 To better understand how the technology is improved click HERE to view a picture of a monster AMPEX a 16 tracks and verify how high is a 1inch tape. 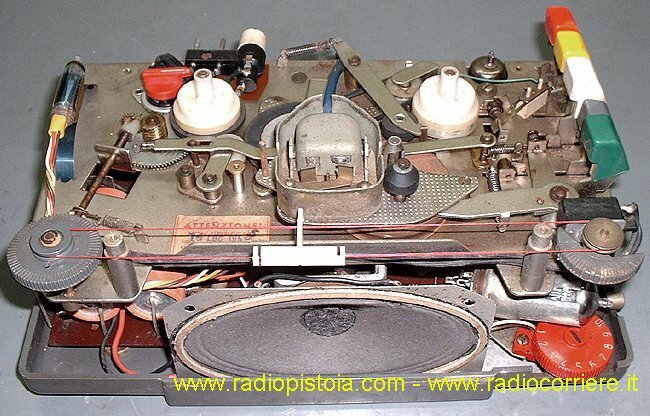 A wonderful WIRE recorder, build from Geloso in a limitate serie for the RAI company. 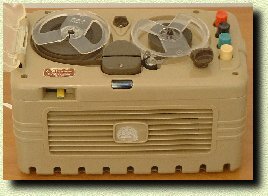 All solid state tape recorder, built about at the end of '70. 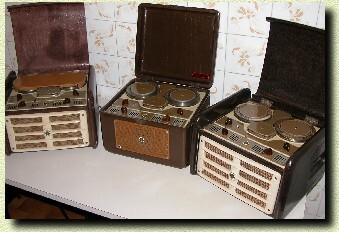 It was the last one with the colored operating keys put on the right side of the cabinet. 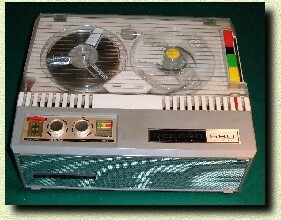 This model is about the similar of the G680 displayed above. 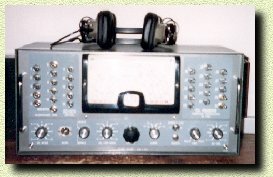 This could be the little brother of the top displayed model, the G681. 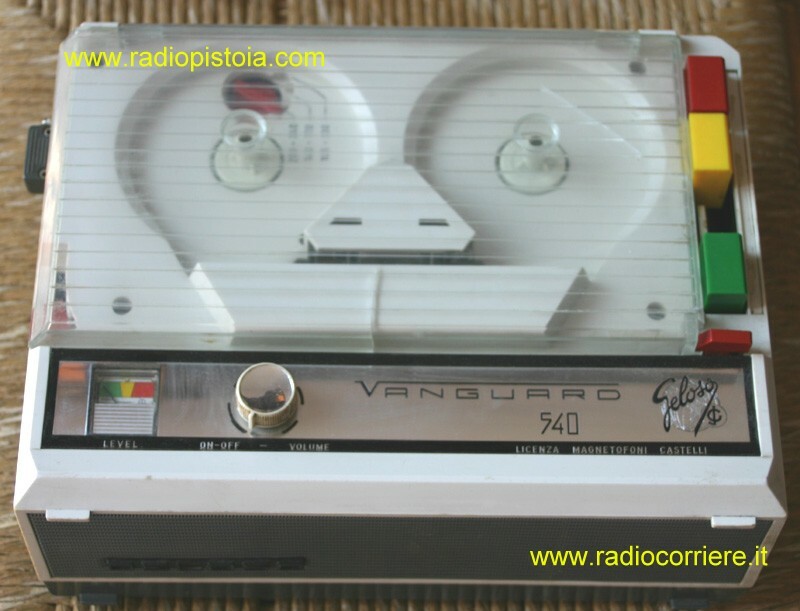 In this one there isn't the tape speed knob and the tone control. 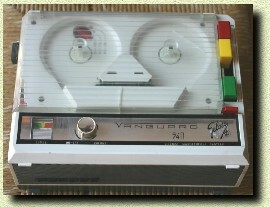 Tape recorder about the same of the model G540, without great modifications. 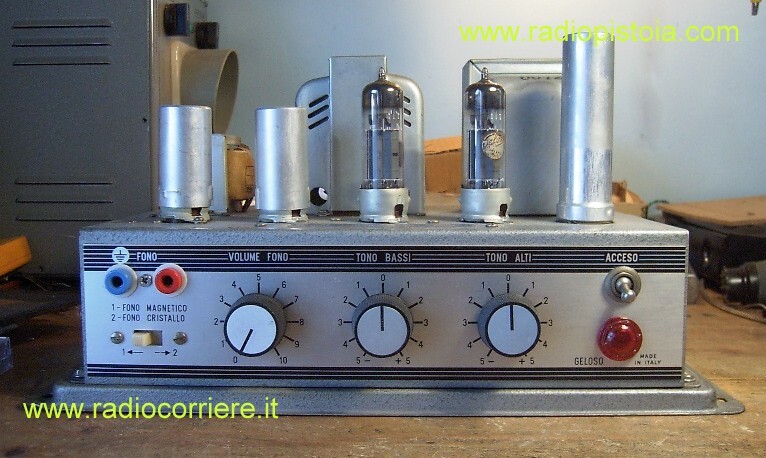 One of the most ancient model, all tubes made, with a magic eye used as recording volume indicator. 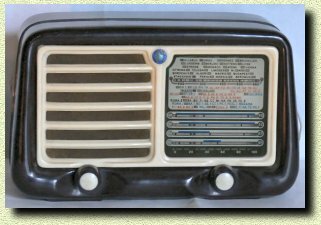 Note the "old style" design, of the microphone base too. 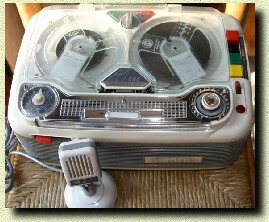 All solid state recorder, kept in perfect conditions, complete of microphone set too. 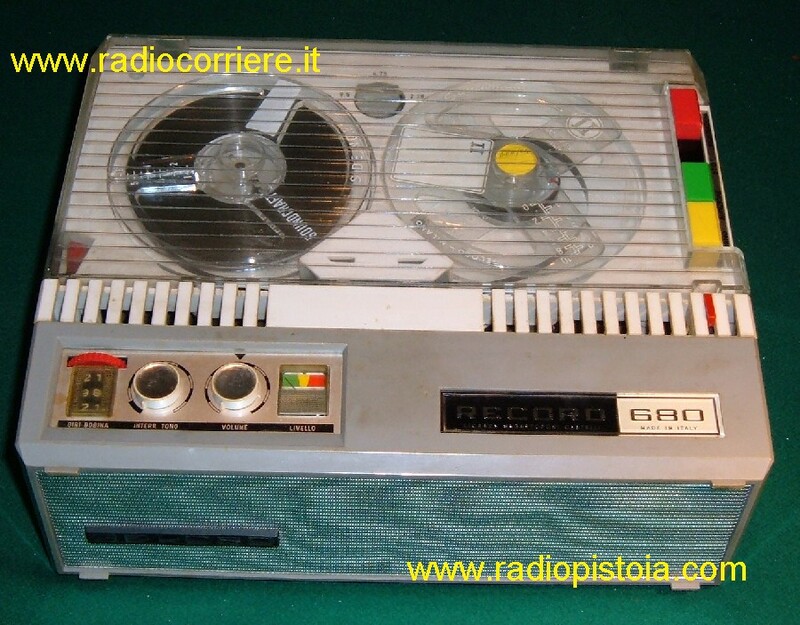 Magnetic tape recorder model G600 kept in very good conditions. 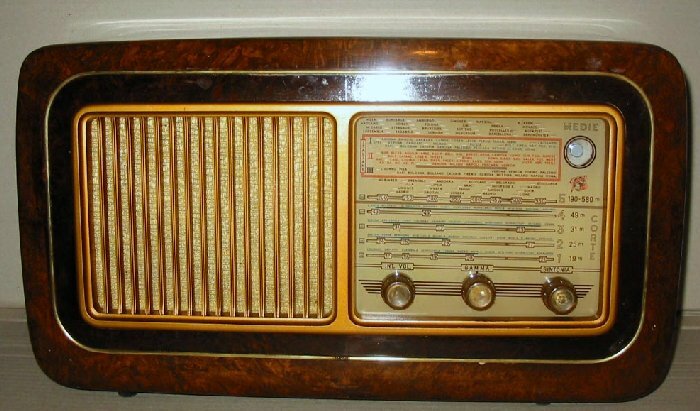 You can see the dynamic microphone and on the right the impedance adapter. 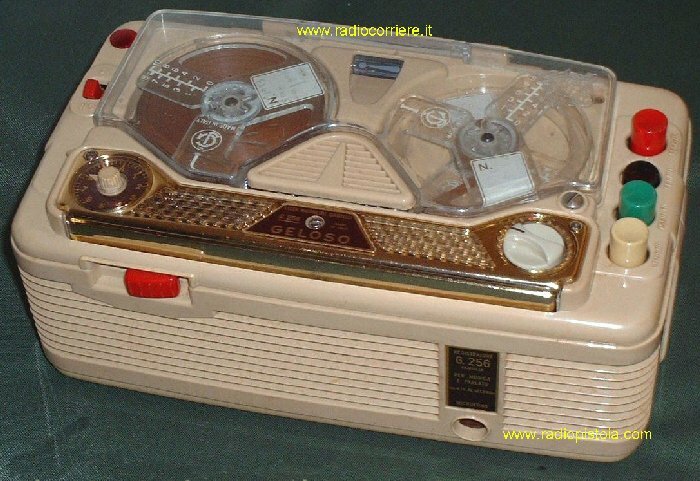 With this device you can connect the input of this recorder directly to any radioceiver loudspeaker, this in order to recording the audio directly without noise. 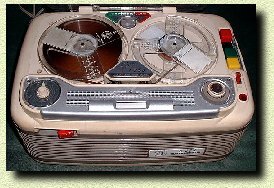 All-tubes magnetic tape recorder built about in the 1960. Heir of the G255 model from this one it inherit the funny colored functions keyboard, the velocity control knob but more in general the components layout. 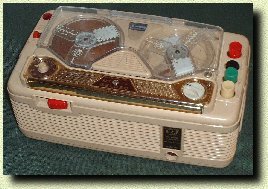 It was a great "high fidelity" tape recorder used for the speech and the music too.  Great (little!) 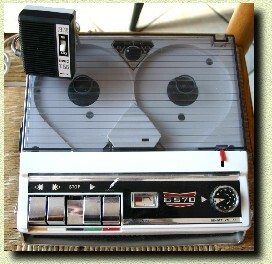 tape recorder, one of the most famous and sold models. 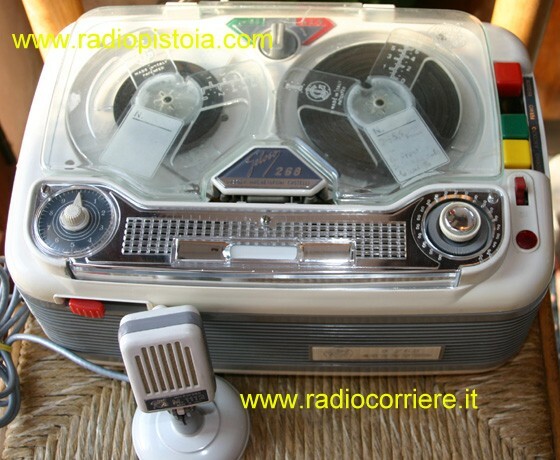 Due to its small dimensions it was called "Gelosino". 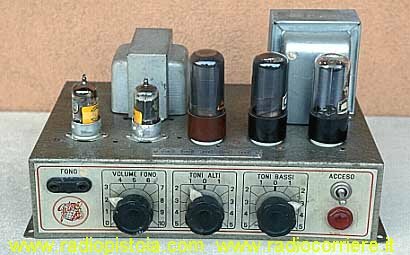 It works only with two (2) tubes (12AX7 and UL41) and the magic eyes DM70. 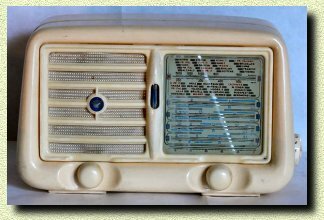 You can see with more details in the"My Collection" section. 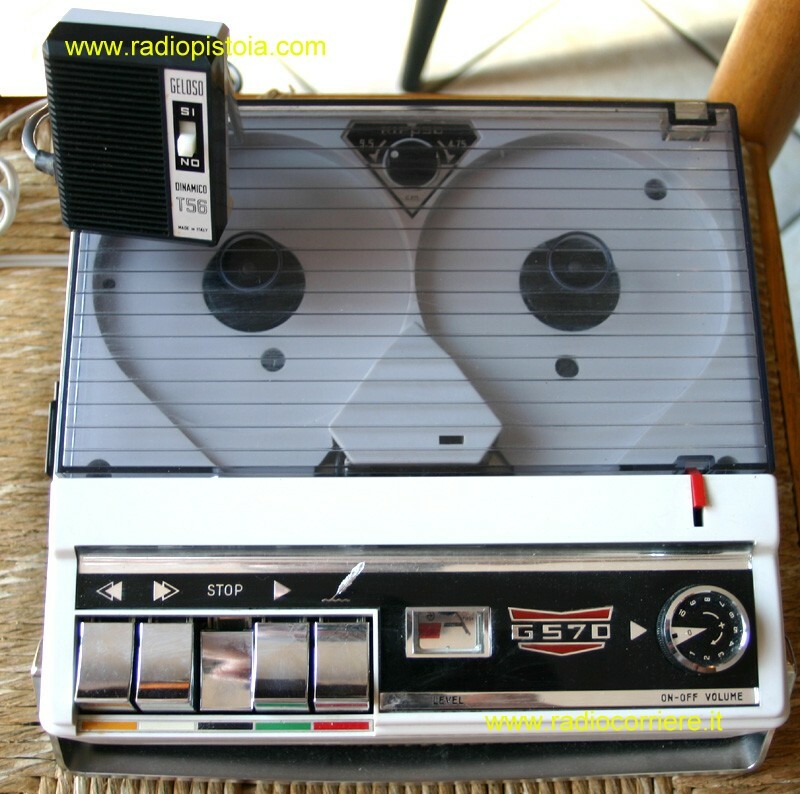 This tape recorder is an hybrid from the G255 and the G258, with the same functions keyboard and part of the internal mechanism but with a different electronic project. 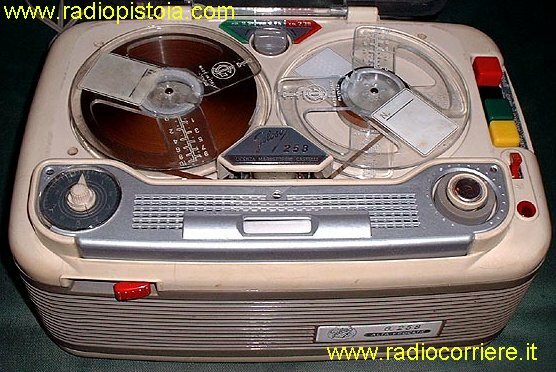 In the next years the external shapes of this tape recorders was designed more "squared", now are in the 1960 about and inside this devices the transistors starts its presence. 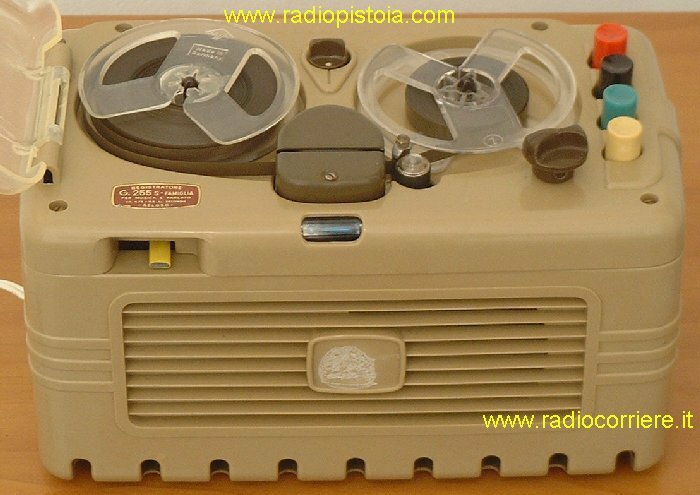 Tape recorder Geloso G257 "silver"
Another nice tape recorder, a "silver" model. Similar keyboard and internal circuitry. 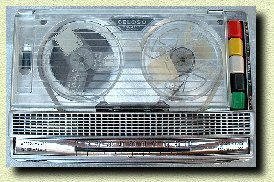 Detailed view of the Geloso G257 descrived above. 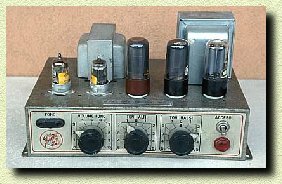 In the left top you can see the magic eye, a DM70 mini tube used as recording indicator. 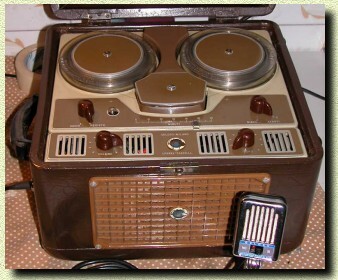 First all-transistors magnetic tape recorder. 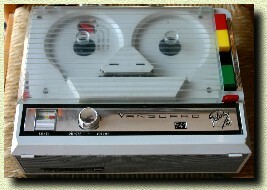 This was the last one tape reel produced by the Geloso. 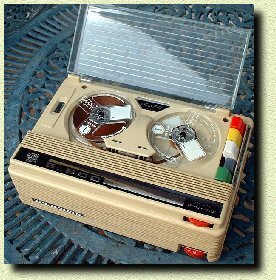 Infact in these years the Philips company produced the first "compact cassette" recorder, where the magnetic tape was close inside a little plasic box. 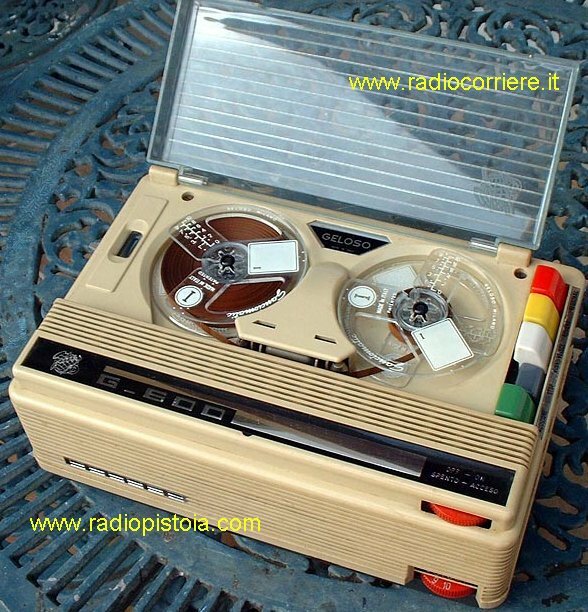 These "compact cassette" are the same that we use today example for the car radio tape receivers. 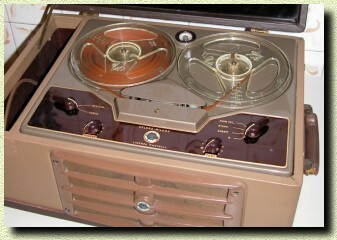 The open reel recorders will be used only in professional audio applications. 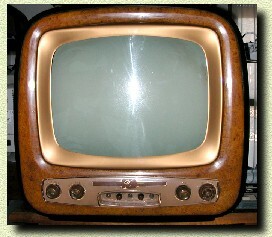 First Geloso TV set equipped with a 21' CRT. 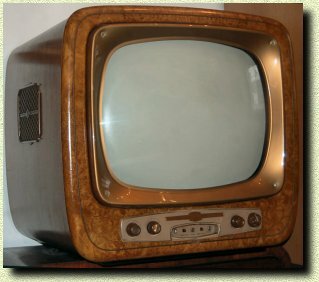 Nice TV set, very similar to the bottom one, it works perfectly with clear pictures. 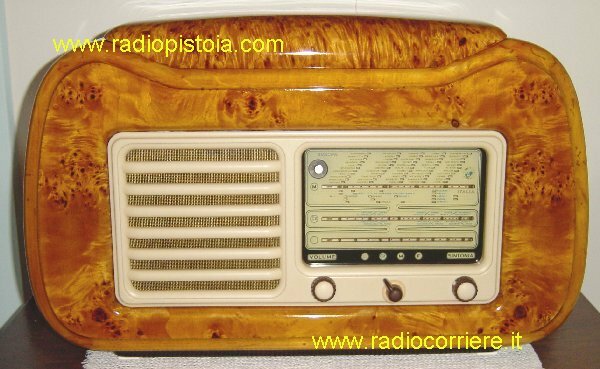 Very good wood restoration too. 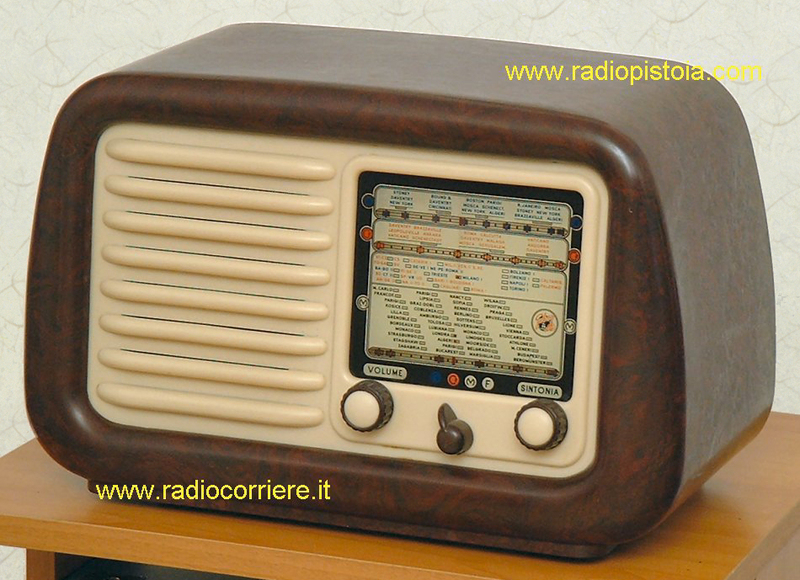 Wonderful Geloso TV receiver, a perfect restoration from Andrea (Italy). 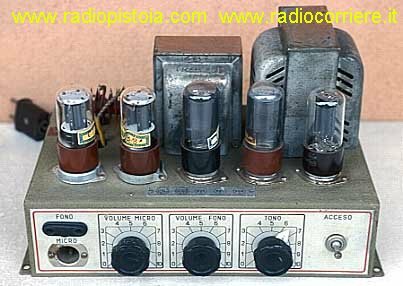 Note that during the recapping all capacitors has been replaced putting the new ones inside the old original enclosure! 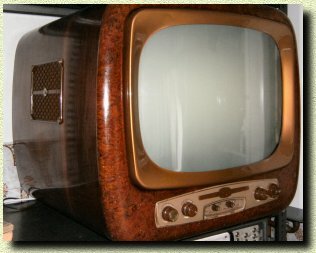 A great, wonderful ALL WOOD CABINET tv set, built in december, 1954. 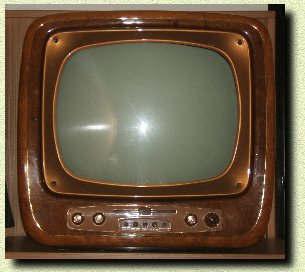 The display is a 17 inch with 70 degrees of deflection. 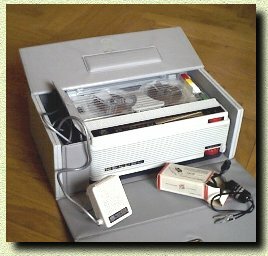 Clicking on the picture you will see some nice internal pics. 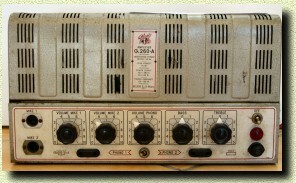 This is the minor brother of the bottom displayed G250, still however a great PA amplifier. 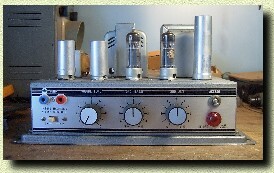 Little amplifier, perhaps the littlest of the Geloso production. 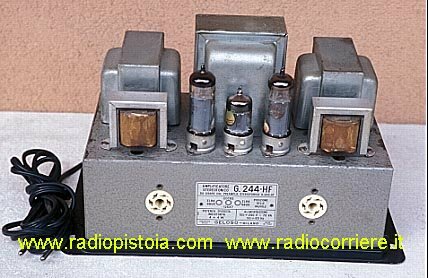 Behind on the picture is possible view the two trasformers (power and output), placed at 90 degrees one from other, this to minimize noise or hum. 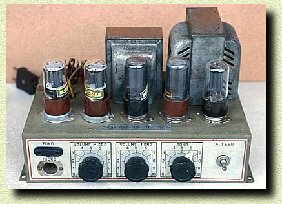 Picture of this great all integrated power amplifier. You can see on the right the 5Y3 rectifier. 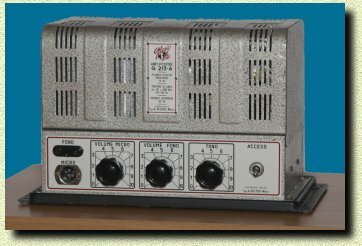 This is a push pull medium power amplifier. In this picture you can see it with the external protection grid removed. 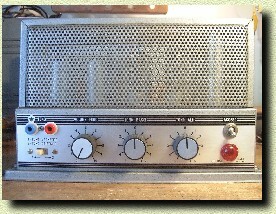 Same model of amplifier but with the protection grid over the chassis. 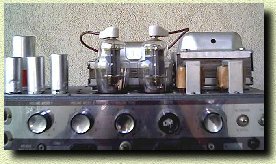 Other amplifier, a push pull of 6V6GT. Note the BIG power transformer on the behind of the chassis. 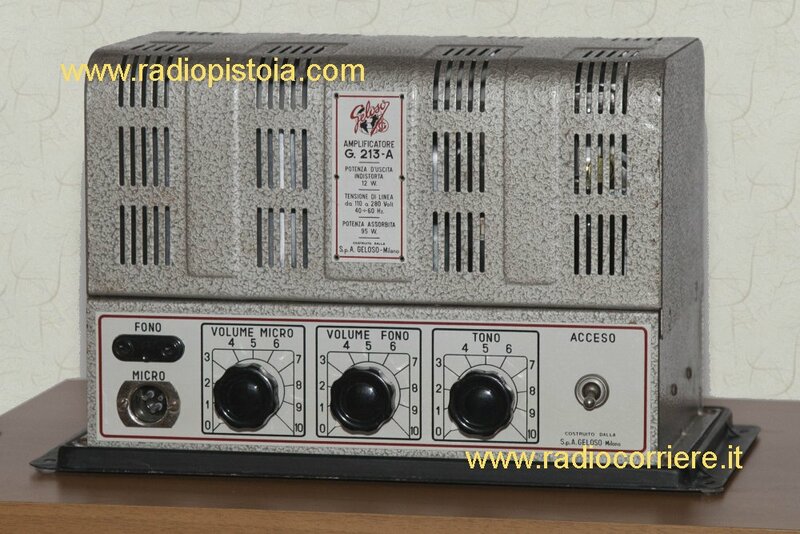 All these amplifiers pictures are token with the top protection grid removed, this for more clarity. 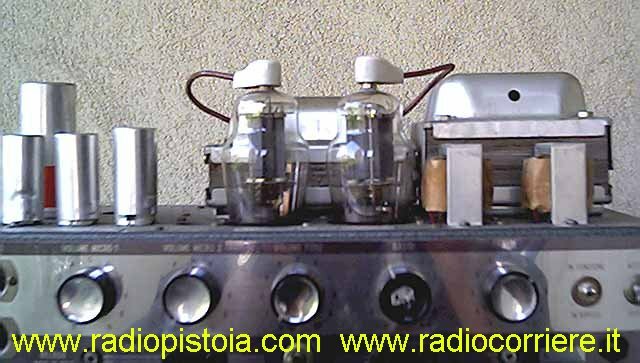 This is a little amplifier without the preamplifier section that is on another chassis. 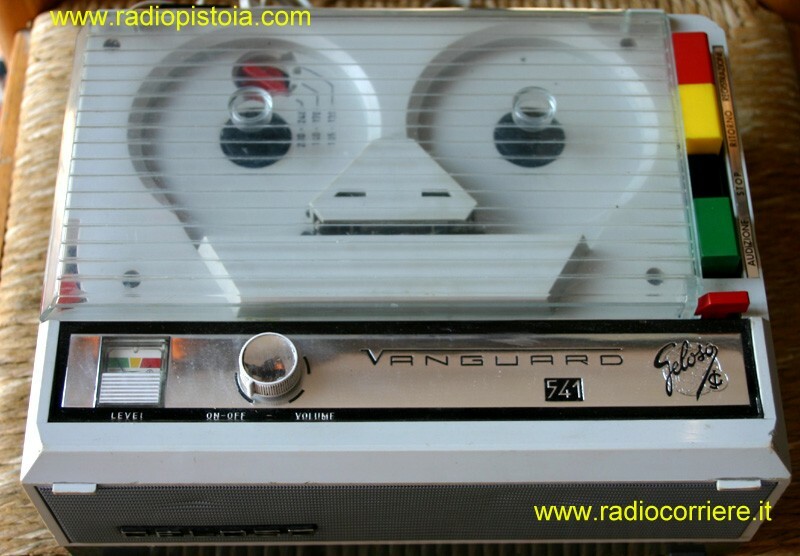 This is a stereo equipment. 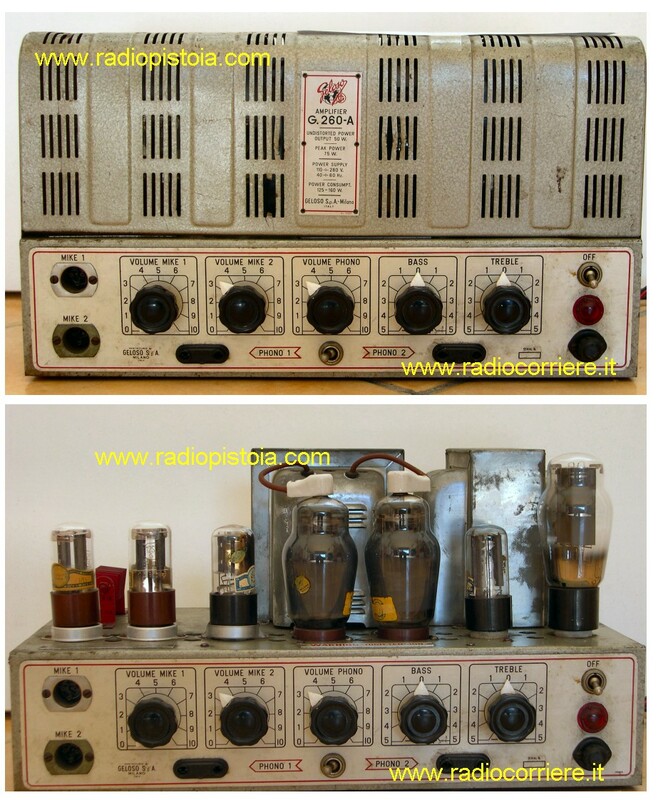 Photo: courtesy of Antonello (Italy) Push pull amplifier with a pair of 6V6GT. 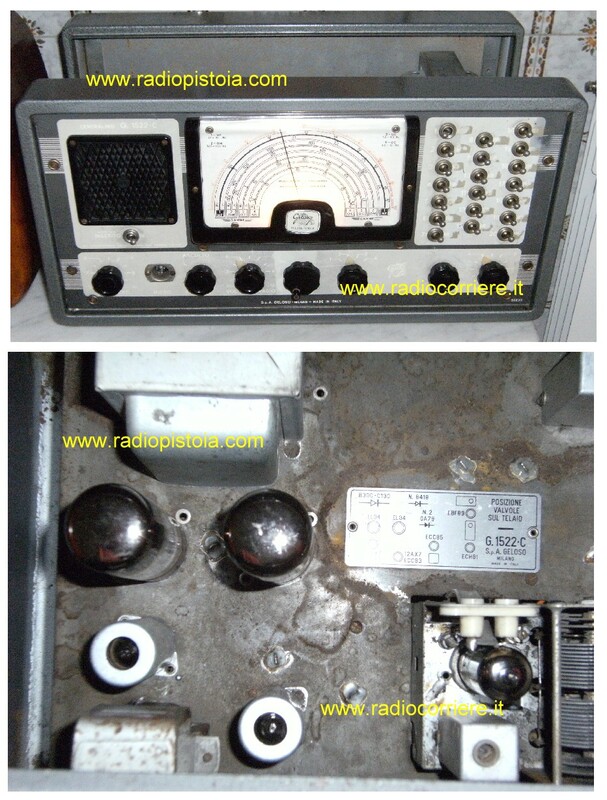 On the right you can see the 5Y3 rectifier. 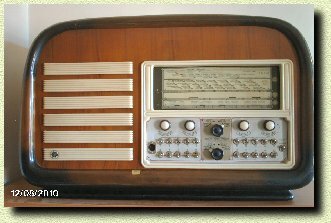 Wonderful receiver/amplifier used in the middle of 50' for PA pourpuses. A great public adressing (P.A.) 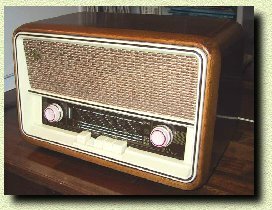 amplifier with a SW-MW-LW-FM integrated tuner produced in the early '70. 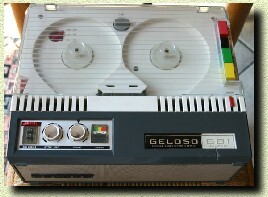 It is one of the last components made by Geloso. Unfortunatly the quality of this picture is low, but the "look" is always good !. 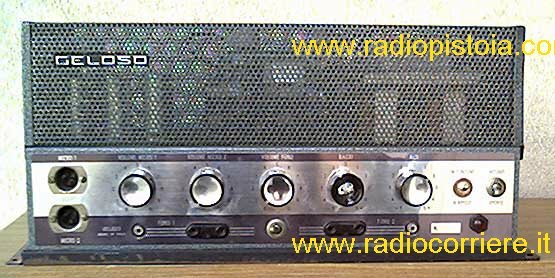 Its REAL output power is about 35W. 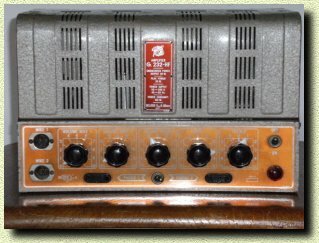 The power stage uses a push pull of EL34.